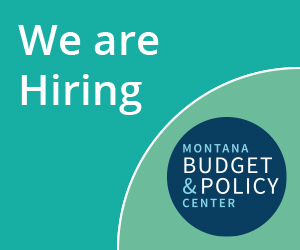 In 2015, the Montana Legislature passed the bipartisan Health and Economic Livelihood Partnership (HELP) Act, extending health care coverage to Montanans ages 19-64 making less than 138 percent of the federal poverty level. At that time,19,547 American Indians were projected to be eligible. As of September 2018, 96,108 Montanans have enrolled and 16 percent of these are American Indians. As a result of the expansion, 15,495 eligible American Indians have been able to access a comprehensive range of health care services at locations across the state. Not only does this have the potential to help close the staggering American Indian health disparities gap, it brings much needed health care dollars into Indian Health Services (IHS), tribal, and urban health (I/T/U) facilities, which are able to bill Medicaid for services at their facilities. Additionally, all services provided at IHS, as well as all services accessed through written care coordination agreements between IHS and non-IHS providers qualify for 100 percent federal reimbursement and therefore are provided at no cost to the state Medicaid program. Clearly, Medicaid expansion is critical for improving American Indian health and health care delivery systems in Indian Country and is a good deal for Montana. · Medicaid and Medicaid expansion can help reduce health disparities and improve health outcomes including life expectancy. · Medicaid is a critical resource for eligible American Indians who either have no insurance or who are dealing with inadequate care through IHS’s rationed system. · Through Medicaid, American Indians can access medically necessary and preventative services at any provider participating in the state’s Medicaid program. · When American Indians access Medicaid services through IHS or an approved care coordination agreement with a non-IHS provider, the federal government will pay 100 percent of the billed cost with no fiscal impact to the state. · Medicaid provides American Indian beneficiaries with an important financial safety net. · Medicaid expansion revenue has allowed IHS to increase their services to American Indians. · Medicaid expansion has brought new federal funding into Montana, boosting Montana’s economy through increased spending by hospitals, providers, employers, the state, and individuals on health care services. In 2009, Montana ranked first among states with the highest number of uninsured American Indians. Instead, a majority of American Indians receive health care through IHS. Five non-profit urban Indian health programs in Missoula, Great Falls, Billings, Helena, and Butte. Availability of services varies widely from one facility to the next and can be delivered either directly at I/T/U facilities, or through services purchased from private providers, which are referred to as Purchased/Referred Care (PRC). The idea behind PRC is to enable IHS beneficiaries to access care in instances when a local IHS facility is incapable of providing it. IHS is not a health insurance program, however, and American Indians cannot receive health care outside of I/T/U facilities without incurring a cost for services provided. While individuals are eligible for direct care services at any IHS facility if they are a member or descendent of a member of a federally recognized tribe, eligibility for PRC services is much stricter. Individuals must reside within a contract health service delivery area and be a member of the local tribe on whose reservation the referring IHS facility is located. Further, there must be dollars available in the local IHS budget to cover the cost of those services. The obligation of the federal government to provide health care to American Indians stems from what is known as its trust responsibility to tribes. To learn more about the federal-tribal trust relationship, see MBPC’s report, “Medicaid Expansion in Indian Country: Effective Strategies for Outreach and Enrollment,” from which the following review is excerpted. Between 1778 and 1871, the United States negotiated over 400 treaties with American Indian tribes. Through these treaties, tribes ceded control of billions of acres of their homelands to the U.S., in exchange for compensation that oftentimes included medical services like providing tribes with doctors and hospitals. It was not until 1921, however, that Congress passed the Snyder Act codifying the federal government’s trust obligation to “protect” or ensure that the widespread health and welfare needs of all American Indians in the U.S. were being met. IHCIA amended the Social Security Act of 1935 to allow reimbursement by Medicaid and Medicare for services provided to American Indians in IHS or tribal health care facilities. This was critical since many American Indians lived in rural locations so traveling to urban centers for health care providers that accepted Medicare and Medicaid was often unfeasible. IHCIA also provided for 100 percent Federal Medical Assistance Payments (FMAP) for services provided through IHS or tribal facilities. Additionally, IHCIA mandated that all third-party revenue collected by an IHS facility remain with that facility to help meet local needs like purchasing new equipment and supplies, hiring more providers, and funding additional services. Since 1976, IHCIA has been temporarily reauthorized and amended multiple times before being made permanent in 2010 by the passage of the Patient Protection and Affordable Care Act. In 2016, the federal government paid approximately $10,348 per person for Medicare and Medicaid while the amount spent per person through the Indian Health Service in FY 2017 was $3,851. Source: Centers for Medicare and Medicaid Services, “Historical National Health Expenditures, 2016” and Indian Health Service, “IHS Profile, 2015-2018”. For comparison, the federal government paid approximately $10,348 per person eligible for Medicare and Medicaid in 2016. The amount spent per person through IHS in FY 2017 $3,851. In addition to funding shortages and the resulting limitations on availability of services, the location of where an eligible American Indian is living plays a role in their ability to access IHS services. American Indians cannot take advantage of IHS services if IHS or tribal facilities are not located within a reasonable distance from where they reside. Additionally, as noted earlier, American Indians who live off their own reservation and outside their IHS’s contract health service delivery area often no longer qualify for PRC services. And if they do not reside in one of the five urban centers with an Indian health facility, they will be unable to access health care through IHS. In Montana, 57 percent of all American Indians were unable to access coverage through IHS in 2013. Compounding this issue is the fact that the majority of American Indians have historically tended not to carry health insurance, thus, seeking care outside of IHS has not been an option. In 2015, Montana expanded eligibility for Medicaid to include people earning less than 138 percent of the federal poverty level, extending critical health care coverage to an estimated 19,547 American Indians. Between November 2, 2015, when enrollment began, and July 1, 2018, the number of newly eligible American Indians who had enrolled in Medicaid stood at 15,288. Medicaid is a critical resource for eligible American Indians who either have no insurance or who are dealing with inadequate care through IHS’s rationed system. Additionally, care is not restricted to IHS’s reservation or urban care facilities, and as with other Medicaid beneficiaries, American Indians can access care at any provider participating in the state’s Medicaid program. However, if services are accessed through IHS or an approved care coordination agreement, the federal government will pay 100 percent of the billed cost with no fiscal impact to the state. Not only does Medicaid enable beneficiaries to access comprehensive health care, it also provides them with an important financial safety net. Likewise, if an uninsured tribal member living off-reservation is injured and seeks treatment at the nearest clinic, they will be liable for the cost of treatment unless several variables are in place: the patient happens to reside within their reservation’s IHS contract health service delivery area, the IHS happens to have a contract with that particular provider, the IHS is willing to approve the “referral” post-service, and they happen to have available funding to cover the cost. If any one of the variables is not present, the patient will be liable for the bill. But, if the patient has Medicaid coverage, the provider bills Medicaid, Medicaid pays, end of story. The Montana HELP Act Oversight Committee reports that Medicaid expansion revenue has allowed IHS to increase their services to American Indians. Additionally, it has enabled IHS to move from a level 1, “life or limb” services prioritization for PRC funds, to a level 4. This means that American Indians are now able to access critical preventative care that can help reduce health disparities and improve health outcomes including life expectancy. Likewise, Medicaid expansion has resulted in a significant influx of federal dollars into the state. These federal dollars have paid for medical care that would not otherwise be provided or would be provided at state, local, or private expense. Thus far, Medicaid expansion has paid for nearly $47 million in IHS services for American Indians. Additionally, in the first two years, the HELP Act paid for more than $1 billion in health care services, with over 90 percent of the cost covered by the federal government. Medicaid expansion has brought new federal funding into Montana, boosting Montana’s economy through increased spending by hospitals, providers, employers, the state, and individuals on health care services. Because of these enormous benefits to American Indians and to Montana, MBPC urges Montana legislators to continue to support Medicaid expansion so that low-income Montanans and eligible American Indians can continue to access the type of health care that is critical to Montanans’ health, wellness, and sense of wellbeing. Quinn Holzer, “The Montana HELP Act, Medicaid Expansion Update,” Montana Legislative Fiscal Division, September 29, 2016, p. 2. https://leg.mt.gov/content/Publications/fiscal/interim/2016financecmty_sept/Help%20Act-September%202016.pdf. Indian Health Service. “Billings Area.” https://www.ihs.gov/billings/. Indian Health Service, “Purchased/Referred Care History.” https://www.ihs.gov/prc/history/. Accessed November 7, 2018. Indian Health Service, “Frequently Asked Questions.” https://www.ihs.gov/forpatients/faq/. Besides simply providing health care services, IHS funds must also go towards related expenses like facilities operating costs, purchasing medical equipment and meeting health technology needs, staffing, and infrastructure projects like building and maintaining clinics and hospitals. Additionally, IHS funds also pay for important health-related projects like sanitation and solid waste disposal facilities across Indian Country. IHS oftentimes provides these public services through partnerships with other federal agencies. Finally, funds also go towards meeting other directives outlined in IHCIA such as creating scholarships to recruit more American Indians into health professions (http://www.hhs.gov/about/budget/budget-in-brief/ihs/index.html#programs; https://www.ihs.gov/redesign/includes/themes/newihstheme/display_objects/documents/HHSTribalFY2016Budget.pdf. Accessed July 1, 2016. Centers for Medicare and Medicaid Services, “Historical National Health Expenditures, 2016.”https://www.cms.gov/research-statistics-data-and-systems/statistics-trends-and-reports/nationalhealthexpenddata/nhe-fact-sheet.html. Accessed November 7, 2018; Indian Health Service, “IHS Profile, 2015-2018,” https://www.ihs.gov/newsroom/factsheets/ihsyear2014profile/. Accessed November 7, 2018. Patients who move outside their Contract Health Service Delivery Area remain eligible for a period of 180 days. An exception is made for full-time students residing away from their reservation and Contract Health Service Delivery Area. In these instances, a patient’s area of residence is defined as the area where the patient currently resides, unless an exception applies such as the patient has moved to attend a university full-time. https://www.ihs.gov/IHM/index.cfm?module=dsp_ihm_pc_p2c3#2-3.3. Accessed August 9, 2016. Montana DPSSH. State of the State’s Health: A Report on the Health of Montanans, 2013. https://dphhs.mt.gov/Portals/85/publichealth/documents/Epidemiology/StateOfTheStatesHealth.pdf. Accessed November 7, 2018. In 2009, 42.9 percent of all American Indians in Montana were uninsured. This number increased to 56.6 percent when looking at American Indians between ages 18 and 64. Ed Fox, “Health Care Reform: Tracking Tribal, Federal, and State Implementation,” Kauffman and Associates, Inc., May 20, 2011, p. 12,13. https://www.cms.gov/Outreach-and-Education/American-Indian-Alaska-Native/AIAN/Downloads/CMSHealthCareReform5202011.pdf. Accessed July 1, 2016. Pre-ACA, private insurance was most frequently accessed as an employee benefit. In 2013, only 25 percent of American Indians in Montana accessed health insurance through an employer. Montana DPSSH. State of the State’s Health: A Report on the Health of Montanans. https://dphhs.mt.gov/Portals/85/publichealth/Publications/State%20of%20the%20State_s%20Health%20Final%209%20.2013.pdf. Accessed July 5, 2016. There are many possible reasons for this including the fact that in Montana, between 32 and 36 percent of all American Indians live in poverty and experience high rates of unemployment. (U.S. Department of the Interior, Office of the Secretary of Indian Affairs, “2013 American Indian Population and Labor Force Report, (2013). MT DPHHS, “Medicaid Expansion Member Profile: As of 07/01/2018.” https://dphhs.mt.gov/Portals/85/Documents/healthcare/MedicaidExpansionMemberProfile.pdf. US DHHS, Centers for Medicare & Medicaid Services, “Indian Health and Medicaid,” https://www.medicaid.gov/federal-policy-guidance/downloads/sho022616.pdf. Accessed November 7, 2018. Montana HELP Act Oversight Committee, “2018 Report to the Governor and Legislative Finance Committee, August 2018, https://dphhs.mt.gov/Portals/85/Documents/healthcare/HELP-ActOversightCommitteeReport2018.pdf, p. 13. “Medicaid Expansion Health Care Services Profile.” Montana Department of Public Health and Human Services. July 1, 2018. On file with author. MT DPHHS, “Medicaid Expansion Member Profile: As of 07/01/2018.” https://dphhs.mt.gov/Portals/85/Documents/healthcare/MedicaidExpansionMemberProfile.pdf; Montana HELP Act Oversight Committee, “2018 Report to the Governor and Legislative Finance Committee, August 2018, https://dphhs.mt.gov/Portals/85/Documents/healthcare/HELP-ActOversightCommitteeReport2018.pdf, p. 5.